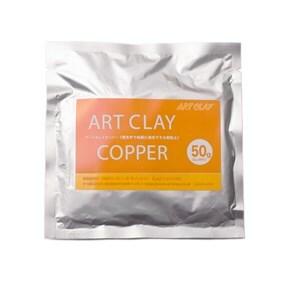 Aida (the manufacturers of Art Clay) have picked the best parts from their three most popular clays - easy moulding from the Original, slow drying from the Slow Dry, and a low firing temperature from the 650 range. Click here to read more about this new improved formula! 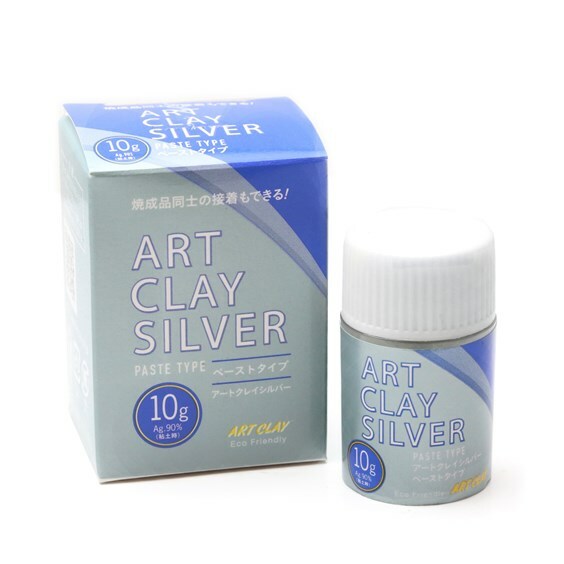 Use this paste to bond wet or dry clay parts together, to repair cracks and to fill in uneven surfaces. 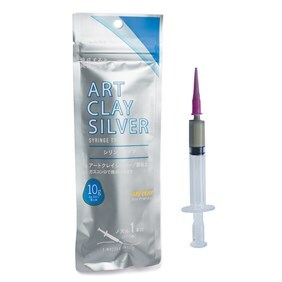 You can also use it to add interesting texture to the clay. It can also be painted onto a burnable core; like a leaf, twig or cork clay, to create a fine silver replica. There are 10 grams of paste in the pot, enough for several repairs or projects.